The FMCG business is like a team sport. There are sales people sent into the field, to sell more products and beat their targets. There are players put on the sports field, charged with scoring points and winning the game. In both scenarios, if the people behind the scenes don’t do their job, those on the front line can’t deliver. It’s that simple. Route to Market (RtM) professionals need inventory to fulfill orders, budgets to execute Key Account agreements, Point of Sale (POS) material to help increase sales, devices to record information, take orders and communicate, vehicles to visit customers, etc. The RtM/Sales or TM&D (Trade Marketing & Distribution) function must have clear and open two-way communication with all the other business functions. 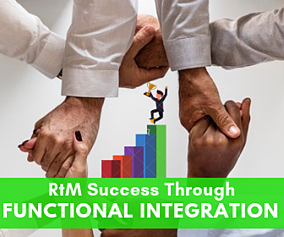 Functional Integration is a cornerstone to any successful RtM strategy. My first lesson in the need for Functional Integration came when I was a Sales Rep for an FMCG multinational in the late 1990’s. The Marketing Department was doing a big push for one specific brand. They sent every rep a large package of POS material with clear instructions to place it in retail. The main POS material was a cash mat. Cash mats are designed to be placed next to the till, on the counter between the retailer and the consumer, and are where the retailer can place notes and coins as part of the consumers change from their order. They protect the retailers counter, make it easier for the consumer to pick up their change and they can provide a great opportunity to communicate with the consumer at the actual point of purchase. These particular cash mats were beautiful pieces of POS material. They were very high quality, the message they communicated was very clear and they were also very durable. But there was one big problem. They didn’t fit into the available space in the retail stores. There had been no interaction, consultation, or communication between the RtM function and the marketing function during their development. A lot of money could have been saved if there had been proper Functional Integration. Welcome to my blog series on the 20 Steps to Route to Market Excellence model. Over the past number of months, we have gone through the first 18 steps of my model. The focus of this post is Step 19 – ‘Functional Integration’. Based on the RtM Review in Step 1, what are the other business functions that your RtM, Sales or TM&D department currently interacts with? Have you explicitly identified them? Are there currently ‘rules of engagement’ for the different interactions with the other functions, or has it just evolved? For each business function or department, to what extent have we identified the nature of the integration required? For example, what key processes are involved? What are the related process inputs and outputs? Have levels of inter-departmental performance been defined? Are these levels of performance explicit? If so, how has performance been defined? Do internal Service Level Agreements (SLAs) exist, for example? Based on the new RtM Strategy in Step 5, how will the functional interaction with the RtM department and other functions change? What new rules of engagement need to be established? How will this be measured? What is the nature of the integration with Supply Chain? How do we feed information into the Supply Chain Department? For example, who decides what the demand will be over the next few months? What are the implications for the Logistics Department? Has the RtM Department fed into these processes? Do we have an S&OP (Sales & Operational Planning) Process? Has the RtM Department fully bought into this process? Are we represented in it? Is it clear what information we should feed into this process? For example, what is the role of the RtM Department in the Demand Review Process? Who receives our information on Out of Stocks in the field? What actions are taken based on this? How do we prevent them? What help do we need to do this? Do we accept product returns from customers? If so, who manages this process and what departments interact with this? How does the RtM department interact with the Brand Marketing department? Has this process been formalised? How often do representatives from the marketing department attend trade field visits? 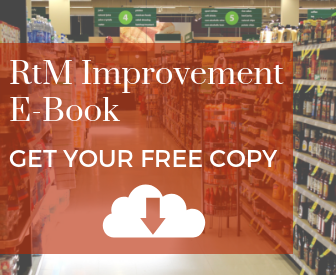 Does the RtM Department feed into Point of Sale (POS) material development? If not, why not? Do we place any promotional trade assents in the field? Who manages this process? Who provides feedback on their applicability and usefulness? Who tracks and manages them as assets of the business? What is our process for this and which function is responsible? How does the RtM Department interact with the Finance Department? Who sets prices, margins, budgets and discounts within the RtM department? How does Finance fit in with this? How do we currently feed trade information into Finance? How will this change under any new RtM Strategy? How do we open new accounts with customers? Are any other departments involved? Who sets payments terms? Do we offer credit? Who then sets individual customer credit limits? How does the RtM department feed information into this? How do we collect payment from our customers? Is it all electronic? Do we accept any other forms of payment? Do we accept cash? What are the processes and procedures for this? Which departments are involved? Do we have a Security or Health & Safety Department or Function? Is this part of HR? How do we interact with them? How do we interact with the IT department? Do we have a CRM solution or hand-held device that is used to take orders and record market data? Who maintains this? Who feeds them information about its real-world application and actual issues? How does the RtM Department interact with the HR Department? For example, do we have a system for performance appraisals? Who is responsible for RtM Training & Development? Who manages performance appraisals? How do receive the company policies & procedures? How can or do we feedback on them? Who manages our company equipment, like cars, phones, tablets, laptops, uniforms, etc? How do we provide feedback on these? To whom? How does the RtM Department interact with the corporate/public affairs or PR department? For example, how often do they make trade visits? How do we feed information to them? How can they speak publicly or address key issues about our products or communications, without speaking to the department who deals with our customers? How open are we as a department? Do we have regular conferences and regular meetings? Do we invite other departments? Do we actively manage our relationship with other departments? Do we try to attend other departments key meetings? 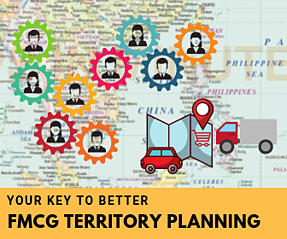 What is our plan to on board the other company functions to our new approach to RtM? Have we consulted them throughout the process to accelerate buy in? Have we looked at which specific areas within the 20 Steps to RtM Excellence will impact on which specific functions? What is the overall strategy to ensure the RtM Function is integrated with all necessary departments and functions across the organisation? Next, I will cover the final step, Step 20 ‘Culture & Leadership’. Please subscribe to the blog on this page, to ensure you don’t miss the latest updates on RtM excellence in execution and the 20 Steps model. If you would like to know more about the 20 Steps click here. 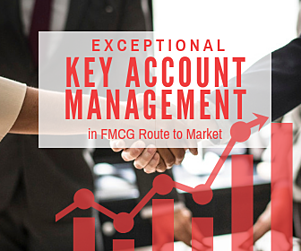 Key Account Management (KAM) is how Route to Market (RtM) leaders effectively and efficiently manage the relationship with specific and strategic customers, or customer groupings, to deliver on RtM targets. Customers are classified as Key Accounts based on a variety of reasons. For example, it could be because they have a large numbers of retail outlets all branded under the one name. It could be that they operate several bars and restaurants, that are of key importance for delivering your RtM Targets. Your wider organisation may also mandate that specific global customers are treated in a certain way. There could also be dozens of market specific reasons why you might assign a customer(s) as a Key Account. Regardless of why a customer is assigned to KAM, the important issue is, how they are managed, how the relationship is nourished, how their growth plans are implemented and how they are serviced across our organisation. The central element to KAM is relationship. Success in KAM Management requires careful consideration, especially if you are either new to the concept of KAM, or if you feel your organisation is not doing it right. Welcome to my blog series on the 20 Steps to Route to Market Excellence model. Over the past number of months, we have gone through the first 16 steps of my model. The focus of this post is Step 17 ‘Key Account Management (KAM)’. Based on the RtM Strategy chosen on Step 5 and the Channel Classification in Step 7, what is our desired approach to Key Account Management? On what basis do we determine that a customer falls into the KAM arena? Is this based on size, current performance, volume, uniformity, number of outlets, ownership of outlets, location of outlets, strategic importance, etc.? If the customer has a KAM classification in other markets that we or our parent company operate in, does that have a bearing on our local classification? Will we have different levels of KAM classification? For example, should we assign the label of ‘National Accounts’ to our larger national hypermarket retailers, who have a presence across our market? Or might we assign the label of ‘Key Accounts’ to some regional larger retailers who have multiple stores in one area of our market? Where does Channel Management fit into KAM? Will we classify our business or customers into Modern Trade and Traditional or General Trade? Will KAM sit into one or both of these channels? What proportion of our overall business is Key Accounts (as opposed to the Traditional or General Trade)? How to we expect this proportion to develop in the coming years? How will this shape our approach to KAM? Will there be a RtM manager who has overall responsibility for Key Accounts regardless of which Channel, Area or Region the Key Account is in? What might this RtM manager have responsibility for? For example, would they manage and be responsible for volume, display, product range, training, strategic approach, relationship, negotiation, reporting, targeting, budgets, etc.)? Based on our Competitor Analysis in Step 4, how does our competition view KAM? Are there any learnings for us in their approach, or does their approach change our own? Do we treat all Channels and/or Key Accounts in the same way? For example, will the distributors and cash and carry’s or wholesalers in one region of the country be managed differently than in another? Will this be reflected in the structure? Would the distributors in the North of country be managed by a Key Account Manager who reports to a RtM Manager with responsibility for the North? Are we clear about the types of individuals who will manage or become Key Account Managers? Do we have specific criteria? What is it? Have we properly weighted the importance of relationship building in looking at individuals? Where does Key Account Management sit in the organisation structure? What is the relationship between KAM and the RtM field force who potentially manage and call on the individual outlets? How is communication managed between the two? In practice, do they really talk to each other or limit themselves to mandated reporting and communication? Are we clear about the levels of importance of each channel or Key Account? Have we taken into account all RtM Targets, including strategic importance to us? Have we looked at this importance/power angle from the side of the customer? How important or necessary are we to them? How does this feed into negotiation? Do we have detailed Key Account Plans for each account? Does this clearly detail what our objectives and targets are for each account? Have we worked with the account in developing these? Have we worked with the internal stakeholders who will and can influence these? Do we simply want engagement with the account, or partnership, or preferred partnership, or exclusivity? Have we looked at previous years plans and taken learnings from them? Do we include what our individual account’s future plans or aspirations are? Do our Key Account Plans cover all areas of engagement between our two organisations, for example top to top meetings, Key Account reviews, wider RtM team interaction at customer level (e.g. retail or distributor), corporate entertainment/relationship building, order placement, deliveries, feedback on promotions, information sharing (e.g. sales/EPOS data), authority/empowerment, invoicing, seasonality factors, etc.? What is our approach to negotiating Key Account Agreements? When will they be negotiated? Who will be in the room from our side? Who has the authority to negotiate and to agree? What happens in the event of a stalemate or breakdown during Key Account agreement negotiation? What will the layers of escalation be? What is our approach to negotiation training? Do we have a full negotiation strategy per Key Account covering all elements of the agreement and estimated potential scenarios? Has this been agreed and signed off by all stakeholders? How are we currently rewarding or incentivising Key Accounts? What is the current reward mechanism, e.g. rebate, discount, payment etc.? Is it based on volume or revenue or profit or other RtM targets? What is the potential role of Third Degree Partnerships (3DPs) here? What role does margin play in our relationship with our Key Accounts? Do we have the control to set it? What are the internal and/or external factors that may affect our ability to set our pricing and margins? How do we manage and control Key Account investment? Who manages this? How do we determine levels of investment per Key Account? What payment terms do we operate across our RtM? How do payment terms fit into KAM? Do we have specific payment term targets, by account, by region, by channel, by customer? Do we have the mechanisms in place to facilitate the different forms of electronic payment? Do we have minimum acceptable payment standards? What is our overall approach to payment terms in relation to KAM? Which of our Channels and Key Accounts are growing? Which are declining? How is this reflected in our overall strategic and individual approach to KAM? How do we capture learnings across KAM? Do we have a process for capturing success in one account and replicating it in another? What is our overall approach to KAM? What is our implementation plan for rolling this out? Next, I will cover Step 18 ‘Training & Upgrading’. Please subscribe to the blog on this page, to ensure you don’t miss the latest updates on RtM excellence in execution and the 20 Steps model. If you would like to know more about the 20 Steps click here. When we discuss Technology in terms of Route to Market (RtM) Strategy we are looking at our overall approach to and use of Technology at every stage of our RtM Strategy and Execution. This includes, for example, the hand-held system we take orders on, the ERP system the company uses, the tracking method we have for targeting the RtM team, the way we measure and track our key account agreements, how we optimise our route planning, and everything else across the RtM space. The key in many cases will be minimising the number of systems we use, facilitating their integration, ensuring their simplicity and allowing them to minimise human intervention. Welcome to my blog series on the 20 Steps to Route to Market Excellence model. Over the past number of months, we have gone through the first 13 steps of my model. The purpose of my blog series is to stimulate your thought processes around RtM, and to allow a moment to think and to ask some key questions. The focus of this post is Step 14 ‘Technology’. Based on the RtM Review in Step 1, what is our current approach to and use of Technology across our Route to Market? What is the Systems Landscape operating across our RtM function? To what extent are the systems integrated? Do we use an ERP system? Is this linked to any other RtM systems? How does this integration work? Have we adopted systems that are no longer fit for purpose? 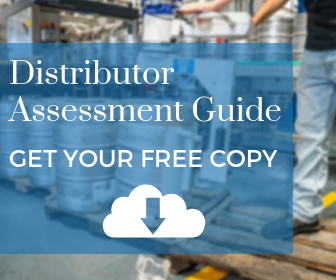 Do we get distributor, customer or third-party sales data? If so, what do we do with this? Is this fed into our own RtM system? Can we measure and report on this? What manual intervention is involved? What is our use of spreadsheets across the RtM function, including strategy, execution, monitoring and reporting? How many different departments are using them? Have we looked at this aspect in the past and what view did we take at the time? To what extent are we managing the risks associated with spreadsheet usage? What is the current order capture method? Do we use a CRM? Do we use a hand held, tablet or phone? If so, what is their current ease of use and performance? How integrated is the order capture method into the overall company system(s)? What systems for we use to monitor the performance of our RtM representatives? For example, do we know how many calls they are doing per day, what their location is at any given time, what their stock levels are, etc.? 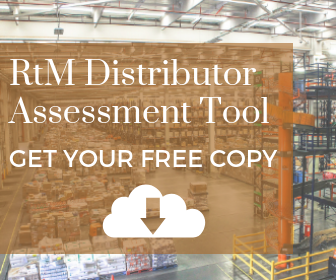 Do we track our distribution and RtM vehicles electronically? If so, what do we do with the data? Do we have a solution for setting and monitoring our RtM targets? Is this automated and integrated into our overall RtM system? How do we measure product display across our retail, Horeca and customer network? Is there a technology solution for this? How do we track, monitor and report on compliance to customer agreements, whether they are national trading terms with key accounts, of single store contracts? Do we have any connectivity constraints in our marketplace? Does our RtM team have access to mobile/cellular data across the country or does connectivity wait until the end of the day? How does this impact on our approach to Technology? 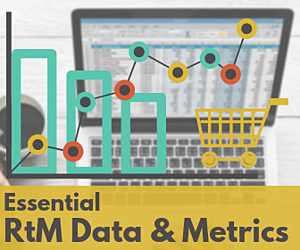 Do we use RtM data analytics across our RtM? If so, what do we do with the data? If not, have we looked at this in the past? What are our next steps for RtM data analytics? Do we have a solution for capturing cost to serve data across the RtM? Is this a simple automated process or does it require manual intervention? If so why? What are we doing with this information? To what extent do we use technology to set up sales territories and look at route planning? If not, why not? If we do use Technology here, what have the results been? 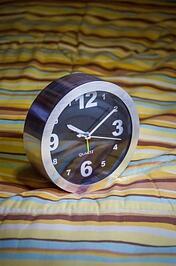 What is the current amount of time our RtM team spends using technology? Is this what we want and expect? Is this the best use of the RtM team’s time or have we over complicated any process? Do we use social media and other form of digital marketing for RtM? Does it form an integrated part of our RtM strategy or has it been deployed in silo from other RtM initiatives? What have we used it for and what have the results been? Who in the organisation uses social media for RtM? Do we have a clear strategy and guidelines in place for the use of digital tools? Do we train our RtM team on all aspects of Technology that we use in RtM strategy and execution? Is it very clear which aspects of Technology are ‘in scope’ and ‘out of scope’ for certain roles/departments? Does our RtM team currently employ workarounds due to current system set up? 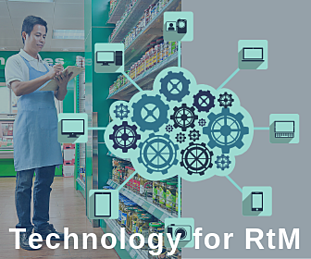 What are the current technology gaps in our RtM? Where are the manual processes that need to be automated? On the other hand, are their examples where we are over complicating an area or issue for the sake of technology? Given all the above, what is our overall Technology plan across the RtM, Sales and/or Trade Marketing and Distribution function? I hope you find this useful, as always views and comments are welcome. Next, I will cover Step 15 ‘Distributor Partnership Programme’. Please subscribe to the blog on this page, to ensure you don’t miss the latest updates on RtM excellence in execution and the 20 Steps model. If you would like to know more about the 20 Steps click here. Some time ago I looked at the often dreadful customer service offered by FMCG and Telecoms companies in CEE. Of course, this avoidable malaise is not restricted to that part of the world. After being in UK for a few weeks I have experienced really poor service from organisations you would think had top notch, high performing supply chains. The Royal Mail and all those “black and white cat” types will be the subject of a later blog but first in line for critique is the National Health Service. While it is important patients are treated with the utmost dignity and with the best care in the world I think NHS bed availability would be improved if patients were considered as SKU’s on a supermarket shelf. Just take the emotion away for a moment and consider how this might work. Each bed is shelf in a shop and the optimum situation is to see all these shelf locations full and more importantly, replenished as soon as stock (patients) moves off the shelves (beds). As with transferring stock from the Lidl back of store to gondola ends, this should not be rocket science. And quite right too as long as decisions are made in the optimum sequence and information is in full flow. 1. Patient gets ready to leave and sits in a chair waiting for discharge. 2. Nothing happens at the bed. 3. A patient leaves the bed and is discharged. 4. Nothing happens at the bed. 5. The bed is stripped and all cups, jugs etc. are removed. 6. Nothing happens at the bed. 7. Bed and surrounding area are cleaned and the bed re-made. 8. Nothing happens at the bed. 9. Eventually, a new patient arrives to fill the bed but this can be several hours and often overnight, after the vacancy was first identified. Just a little bit of basic demand and supply forecasting plus timely information transfer would see a far higher utilisation of available bed space and over the period of a year, noticeably shorter waiting times. Ok, so I know little about the intricacies of the NHS and maybe other hospitals are slicker in their bed allocation but I feel it is a huge opportunity. A change in mindset and a willingness to learn from other supply chains could prove invaluable. I did offer my services to look at this acute bed shortage problem and was welcomed as long as I had previous experience of working within the NHS…….